CLOSEOUTS. 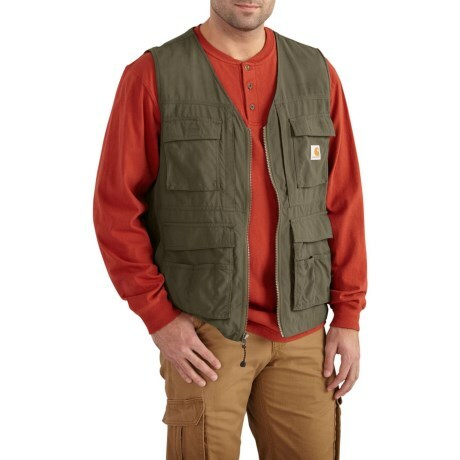 Carharttand#39;s Briscoe vest enhances comfort while youand#39;re on the job or in the woods with its breathable design, water-repellent fabric and ample pocket storage space. Available Colors: MOSS. Sizes: L, XL.